This paper assesses the extent to which New Public Management (New Public Management) reforms have had an influence on the service quality delivered by public institutions in Zambia. While Zambia has taken up elements of the New Public Management agenda, there have, as of yet, not been studies to evaluate the relationship between the implementation of certain New Public Management reforms and the level of service quality as delivered by Zambian public institutions. This study focuses on the New Public Management reforms implementations in the Patent and Companies Registration Agency (PACRA) and the Zambia Development Agency (ZDA). 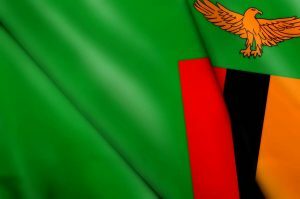 These two institutions are statutory agencies of the Ministry of Commerce, Trade and Industry in Zambia. In February 2012, the New Public Management and Simple Service Quality Questionnaire was distributed to all managers and employees and several customers of the two statutory agencies. In addition 150 customers of each agency were interviewed.